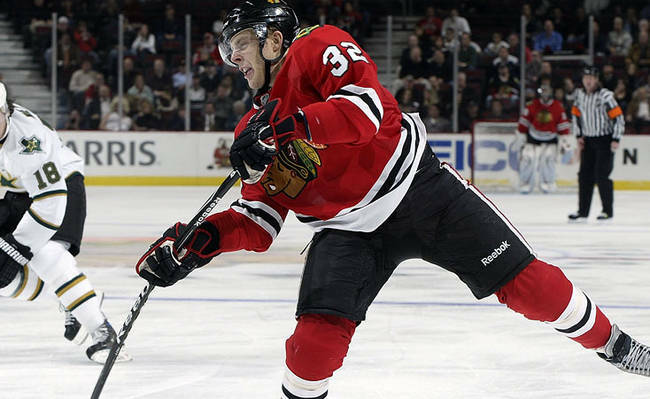 The Chicago Blackhawks are sending forward Kris Versteeg to Toronto in a five-player deal. He had 44 points in 79 regular-season games last season. Versteeg added 14 points in the post-season for the Stanley Cup champions. The Maple Leafs give up forwards Viktor Stalberg, Chris DiDomenico and Philippe Paradis in the deal. Toronto also gets the rights to left-winger Bill Sweatt. Chicago is now more than $8 million under the cap, but with only 13 players signed to the active roster.